We are capable of manufacturing industrial fans suitable for Tunnel ventilation or mine tunnels ventilation. 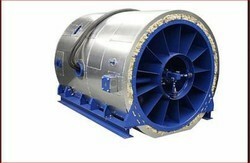 Howden Ventilatoren wind tunnel fans - State of the art wind tunnel fans providing efficiency, control and reliability. Manufacture ring and supplying of wind fans.